Looking for a cheap and good gaming mouse in the $40 to under $50 category? In this post, we'll take a look at five accurate options. 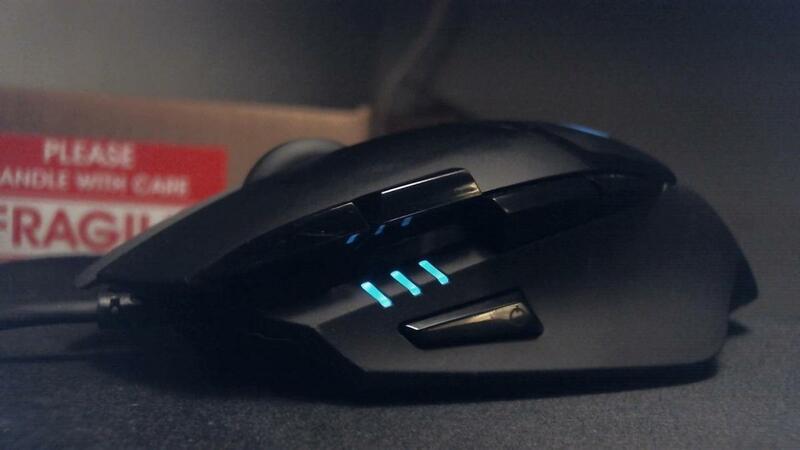 For any serious gamer, a good gaming mouse provides stability and accuracy for the game they play. I switch between several mice based on the game I'm playing. For FPS games I choose something with an accurate optical sensor which doesn't have built-in acceleration. 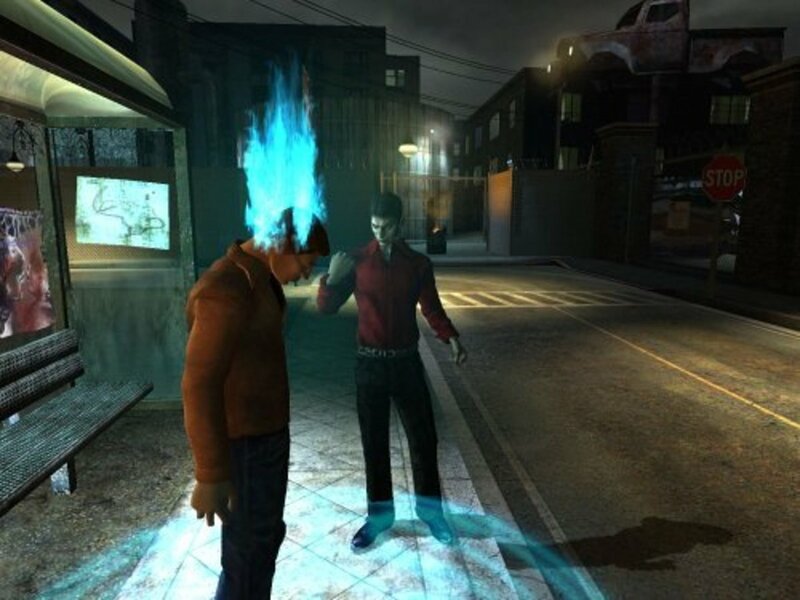 For RTS games something like built-in acceleration can actually be a positive so knowing what games you'll play ahead of time can be the key to finding what's right for you. 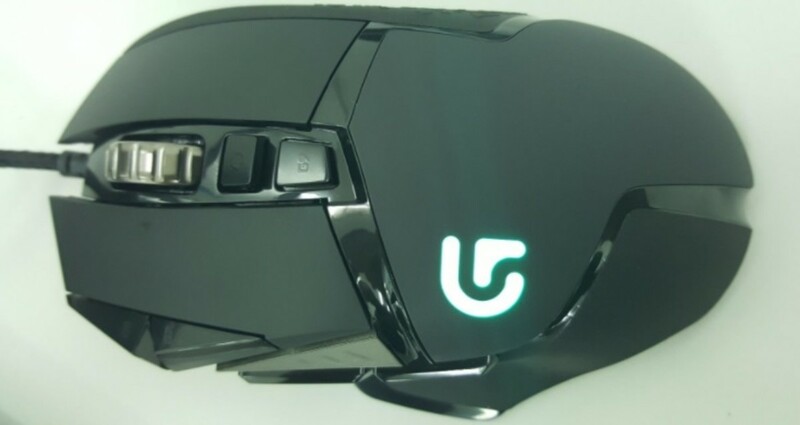 In the budget category of under $50 there's actually quite a few new gaming mice to look at. As someone who's used just about every single one of these I thought I'd give my input on which I think are the best value for your money. Don't have a lot to spend on a gaming mouse? No problem! Here are several options under $50 that are accurate and ideal for palm, fingertip, or claw grips. 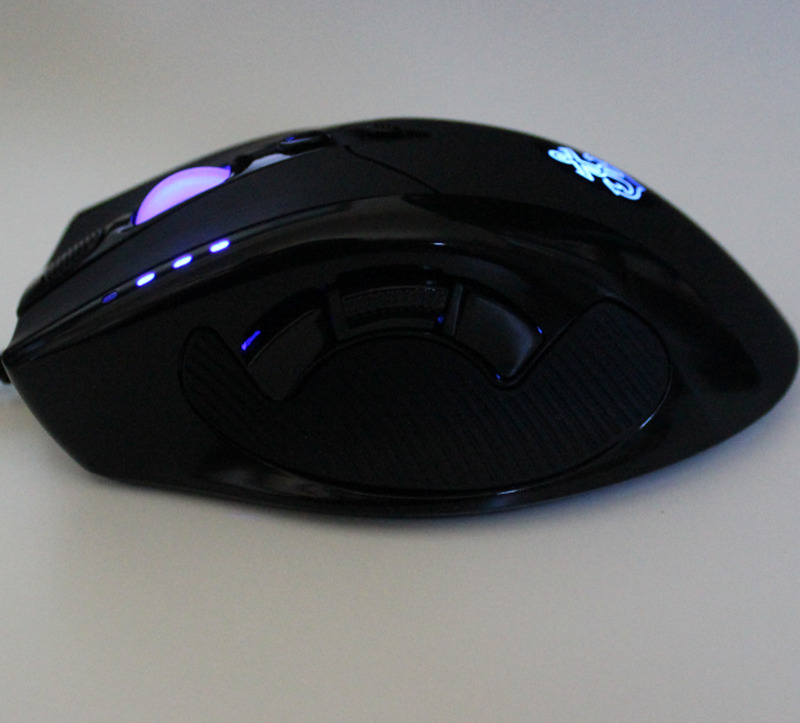 A close look at the Logitech G402 Hyperion Fury. Now that I've talked about what to look for I thought I'd go over 3 gaming mice that really appeal to me in today's market. The first is the Logitech G402 Hyperion Fury - successor of the G400s and one of the all-time favorites in the MX518. With an AM010 optical sensor and 8 programmable buttons it has enough accuracy for FPS type gaming as well as enough features for those looking to play Action RPGs. Without built-in acceleration and angle snapping it also won't mess with your aim. On-the-fly DPI adjustment from 240 to 4,000 DPI means that it's flexible enough for most situations. The mouse itself is durable with a 20 million actuation life on average. This is up 10 million from the previous version. That means if you go with this mouse it should last you quite a long time. That being said my MX518 still functions without a problem. In other words if you break it, then you probably had to work pretty hard to do so. Overall you get a great FPS mouse for around $40 that will last you a long time. It's not that different from its predecessors, but I'm glad Logitech hasn't tried to fix something that isn't broke. If you're looking for ultimate accuracy in a mouse without a lot of flare, then the Razer DeathAdder Chroma provides it. Razer uses the S3988 Avago optical sensor in this one. So far this sensor is one exclusive to razer products and the one that I actually prefer. As someone who uses this mouse in most FPS games I can definitely vouch for it. The design and weight make it comfortable to use over long gaming sessions. In the 2013 Razer switched to the non-slip side buttons. This is an upgrade that, for me, is worth its weight in gold. The S3988 Avago optical sensor Razer uses in this mouse is, in my opinion, the best one to have for twitch-sensitive games. The 2013 version of this mouse brings a lot of added benefits. Gone are the slippery side buttons that plagued gamers after long gaming sessions and in comes a slightly better and more accurate sensor than was there previously. The feet on the bottom seem to glide well making it the perfect option for cloth mouse pads. 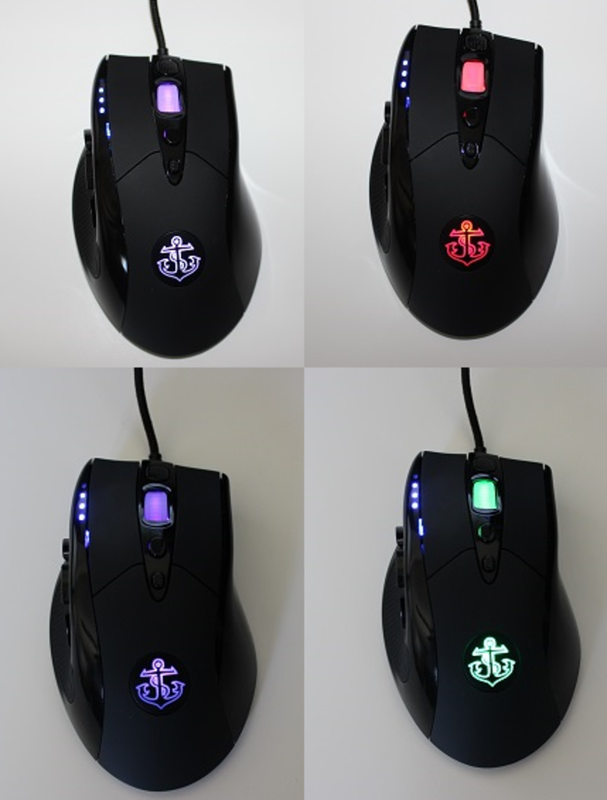 The Chroma version is essentially the same as the 2013 but offers completely customizable LED lighting. 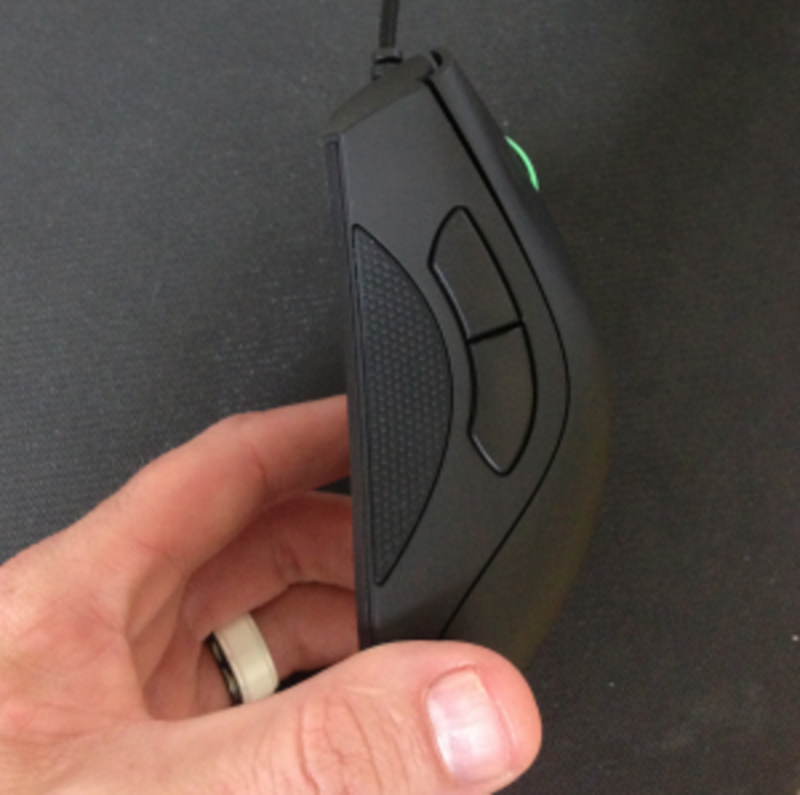 You should know ahead of time that the DeathAdder is more of a simple and effective mouse than a feature-rich mouse. It doesn't come with weight tuning or a fly scroll wheel that I generally like to have. That being said the lightweight chassis along with the precision you get from the combination of the mouse really couldn't be presented in any other way. The Razer DeathAdder Chroma is a great mouse for the pro and I highly recommend it for the FPS genre. That being said if you prefer to play other types of games, then I might steer you away from this mouse. It lacks of features and has been known to wear a bit over time. It uses Omron D2FC-F-7N (10M) microswitches that should at least give it a longer lifespan. Overall buy it if you're an FPS gamer and go with something else if you're not. If the Chroma or Elite isn't available or is a lot higher in price, I'd recommend the Essential. It has 6400 DPI, rather than the 16,000 of the Elite but you likely won't use that anyway. I have a brother who's a college student who I recently recommended this mouse to. He absolutely loves it. It's affordable, gives him the wireless flexibility he needs, and doesn't look out of place on a college campus. You can find it from $30 to $40. The Logitech G602 is a wireless mouse that lasts up to 250 hours. So, whether you're using a laptop or wherever you're at it's super convenient. In the past, wireless meant poor gaming mouse. The G602 has lag-free gaming-grade wireless capable. 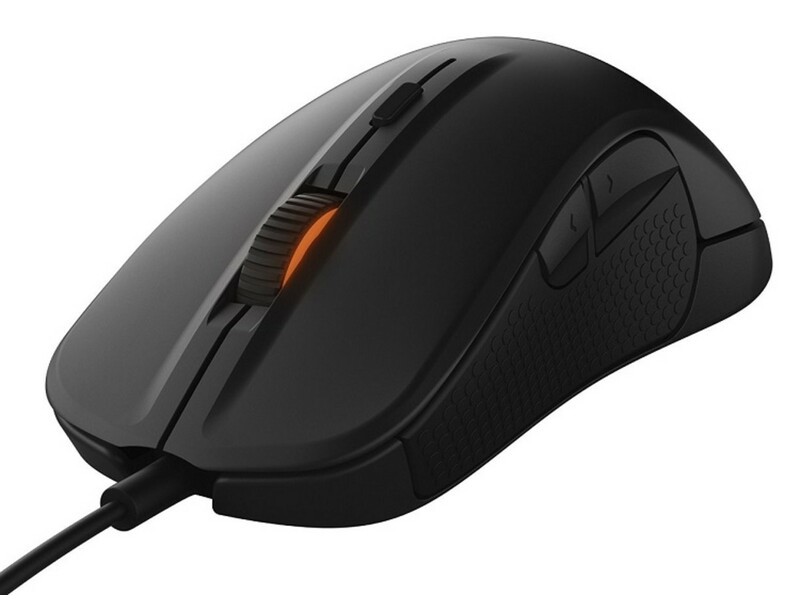 And because this mouse has 11 programmable buttons that are all on the side, it's a good mouse for Moba, FPS, or even a mouse for MMORPGs. The acceleration-free sensor is accurate and although I wouldn't recommend it for professional gaming, it's still fantastic for gamers. It's fairly heavy, as most wireless mice are. So, if that's a dealbreaker for you, you might prefer something corded. Other than that, I like the shape, the feel of it, and overall performance for the price you pay. Here's another mouse that's worth mentioning. It's not for palm grips. Rather, it's for short hands, claw grips, or some fingertip grips. The Corsair M65 uses one of the best sensors on the market in the Pixart 3360. It's implementation of it makes it a great option for FPS. There's a sniper button right near where your thumb is. That along with its lightweight make it a good mouse to use over a long period of time. There is a weight tuning system, although if you're like me, you'll prefer to keep it light. That being said it isn't a perfect mouse for a plethora of games. It's missing the programmable buttons (something I prefer for FPS). So, if you play a lot of different games and use those buttons, you'd likely prefer something else. You can find it for right around $50. Another good mouse you can find around $40 is the Logitech G303 Daedalus. It uses an ambidextrous diamond shape. If you prefer the ergonomic shape of a dedicated right or left handed mouse, then this might not be the one for you. However I quite like it. It's lightweight and small with a weight of around 88 gram. Despite its size, you can use it for a claw, fingertip, or even palm grip if you have small hands. For design there's some subtle comfort grooves where your fingers may lie. It's not as fancy as some more expensive mice out there, but not as heavy either. For accuracy, it uses a flawless mouse sensor in the 3366. I'd consider it one of the better options out there. Of course, it comes with software as well that has onboard memory. Overall, it's a great value and perfect for those wanting a smaller mouse. I've played some of my best Battlefield matches ever on this mouse. It's a great replacement for those coming from a G9X. I'd feel like I did a poor job if I didn't include the SteelSeries Rival 300, a right-handed mouse built for claw and palm grips. If you have a fingertip grip, I'd avoid this one because of the slight hump in the back. In testing I found the 3310 optical sensor to be very good with no spin outs or built-in acceleration. So, this mouse is good in FPS, fighting, or RTS games that require twitch sensitivity. The DPI goes up to 6400 which should be plenty for just about anyone. With a weight of 103 grams, it's also light enough for long gaming session. It also has a grip that's thinner between the fingers. The grips on the sides make it ideal for advanced and accurate movements in game. Overall, I'd recommend this to people with medium to small sized hands who want to use a palm or claw grip. It has a rubber cord rather than a braided one, which I prefer. It's lighter weight and doesn't get twisted. Depending on your preferred shape, it might just be the best you can buy. The Anker's LED lighting can be fixed to one of 16 million colors. 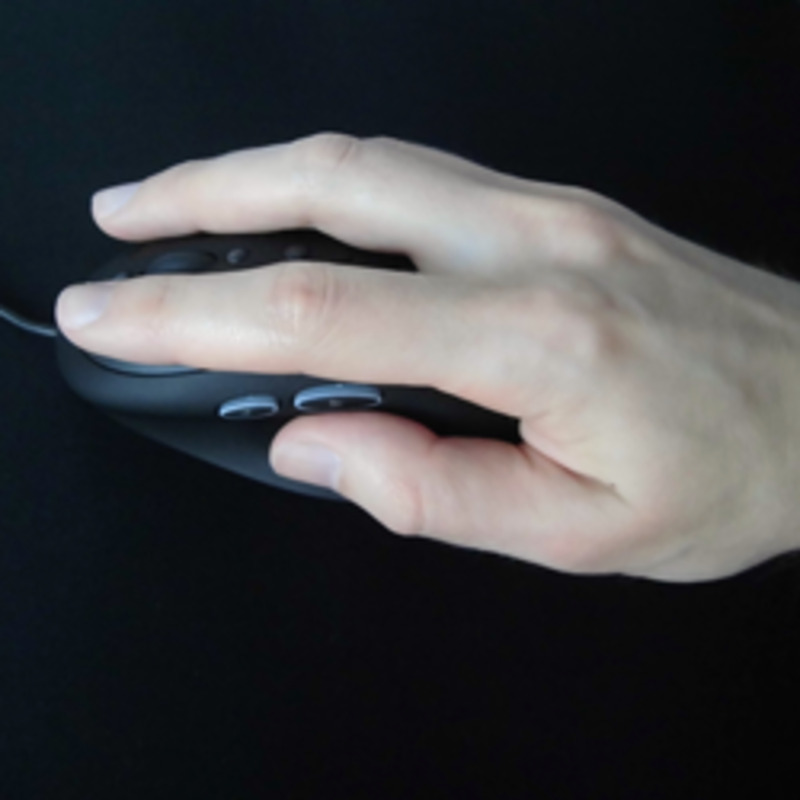 The rubberized sized grip makes the mouse easy to hold and use. If you're looking for another inexpensive option that's ultra durable and has a laser sensor, then the Anker 8200 DPI gaming mouse should definitely be considered. 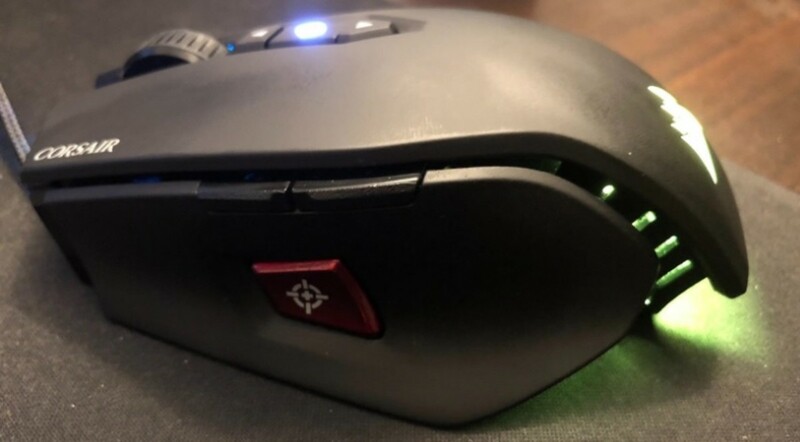 I mention the sensor simply because this mouse has a laser sensor which, in my opinion, is more ideal for RTS, ARPG, and non-FPS games. That being said if you play an occasional FPS game, then it's still very viable. The Anker High Precision Laser mouse includes 9 programmable buttons including 3 on the side above the thumb rest. I currently switch between one of two profiles a standard gamer profile and a browsing profile which includes the forward, back, and escape buttons. The Anker High precision gaming mouse is already on the heavier side at 140 grams. Included with it are an additional 20 grams of weight. This mouse has a really good grip and feel to it overall. On the side is a rubberized thumb rest area and the top has a felt-like material. This makes the mouse fit easily into the palm of your hand. It's a bit taller and longer than other mice on the market making it a bit uncomfortable for smaller hands. That being said mid to large-sized hands should have no trouble using it. This is a good gaming mouse that offers good value for what you pay. Like any mouse it's clearly not for everyone. 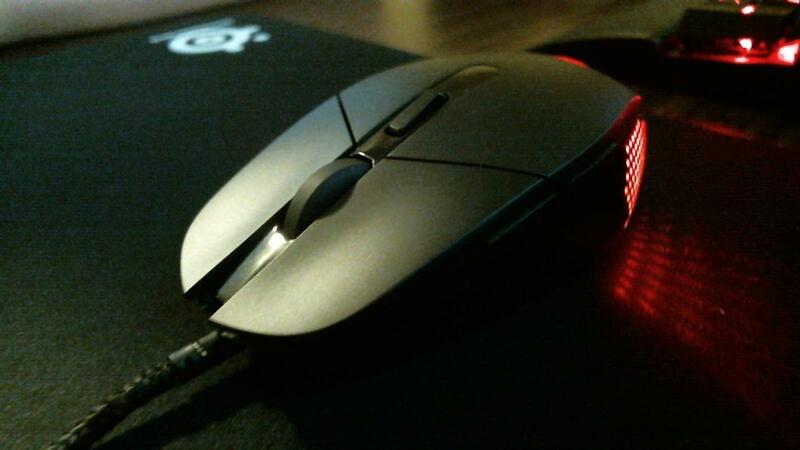 If you have small hands or prefer to use a claw or fingertip grip, then I'd steer you to something like the G9X. The overall design and shape of the mouse should be comfortable for your particular palm, fingertip, or claw grip style. Ergonomics are important for long gaming sessions and it's ideal to have something that's designed specifically for right or left-handed use. Weight tuning is nice, but overall unnecessary if you can simply purchase a mouse that fits your preference. In addition, pay attention to how the mouse feels in your hand and how it glides upon the surface you'll be using. Braided cables are also a plus, but like weight tuning unnecessary if you find a model that has a nice rubber cord. Keep in mind that either may get tangled. Many consider DPI a measure of accuracy. A better term for it is sensitivity. 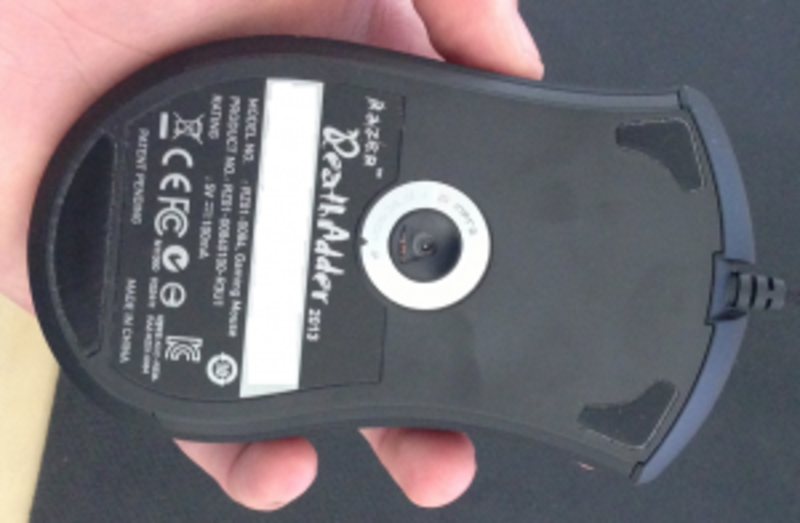 Look for a mouse with a good sensor rather than simply a high DPI measurement. Keep in mind that most professional players don't play with above 1600 DPI. This is especially true in games where accuracy matters most. If you do occasionally play with a DPI beyond this, then simply look for DPI switching. This is also good in games where you might play with a low DPI as a sniper character and then a higher DPI when driving a tank. In addition many gaming mice that have higher DPI actually have issues that make them have questionable accuracy including angle snapping and accelration. Some gaming mice come with software that includes built-in acceleration through the sensor or prediction/drift control through angle snapping. While both can make for a smoother browsing experience it often times makes you less accurate while gaming. An optical LED sensor like that found in the Razer Deathadder will be the better option for accuracy as it has what I consider the best sensor on the market, the Avago S3988. That being said some gamers prefer to have acceleration so this can come down to personal preference and the types of games you play. These types of gamers may prefer an Optical Laser sensor like the Avago S9500 found in the G9X. Unless you're a pro quake, counterstrike, COD, or BF4 player, then you probably won't notice much of a difference between sensors. Knowing how hard we are on our gaming mice most manufacturers put in buttons and switches that can stand a little abuse. Unfortunately, this information can be hard to come by. Most often you'll come by Omron or Cherry Switches that vary, somewhat, in their durability and feel. Ultimately, getting a mouse and testing how it clicks and feels is the best way to determine whether it's a good fit. 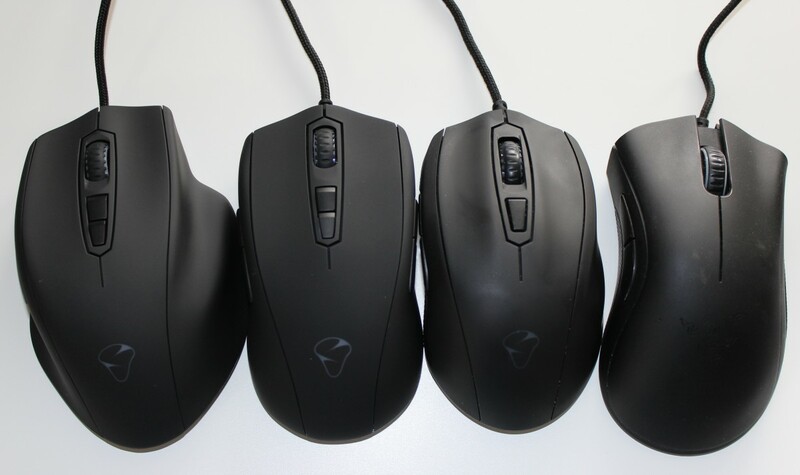 Overall there is not perfect mouse for any one person, but understanding the above should help you to narrow down your choices. Useful post too look for cheap mice.